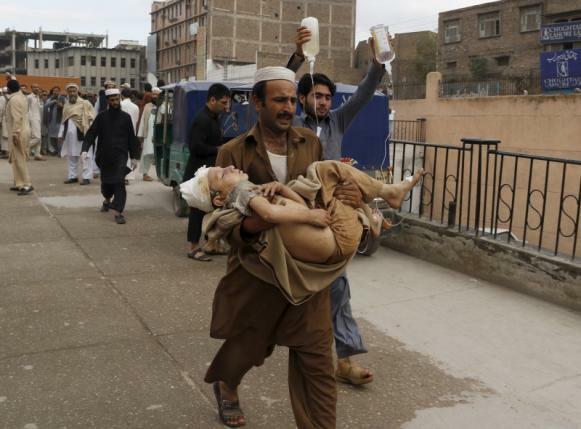 PESHAWAR (92 News) – Death toll has soared to 220 in Khyber Pakhtunkhwa in Monday’s earthquake which jolted different parts of the country with Khyber Pakhtunkhwa the worst affected by the calamity. According to Provincial Disaster Management Authority (PDMA) 1556 other people were injured while thousands houses were damaged in the tremor. As many as 49 people were killed in Shangla, 34 in Swat, 24 in Lower Dir and 20 people have been killed in Torghar. “As many as 26 people have been receiving treatment in Lady Reading Hospital’s Orthopedic Ward and 10 in Neuro Surgery Ward,” the PDMA said.